Mother and Father O'Sullivan of Glengarriff, County Cork, Ireland have four children: older siblings Michael and Brigid, and twins Liam and Francie. Each chapter of this novel relates an episode from the lives of these vibrant characters as they do things like deliver a donkey to market, befriend a strange dog, and pal around with Paddy the Piper, a traveling musician who turns up now and again to visit his widowed mother. In many ways, this book is to Ireland what Kate Seredy's books are to Hungary. 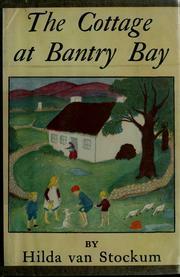 In addition to realistic stories set around the time of the book's writing, The Cottage at Bantry Bay incorporates lots of Irish culture, language, and history into many of its chapters. The result is an appreciation not just for these characters, but for the richness of their Irish heritage, complete with commonly told legends and folktales. For someone like me, who grew up with a father whose grandparents on both sides were Irish immigrants, this is the perfect book to have in my collection and to someday share with my kids. That said, I did not love this book as much as I did the author's Mitchells series. Sometimes, I felt that the dialogue was trying too hard to sound authentically Irish, and some of the more mundane details of Irish living didn't really grab my attention. For me, the best parts of the story involved the twins causing mischief and Paddy the Piper maintaining his cheerful, whimsical persona despite the fact that almost his entire family was killed at war. But I can also say that this is precisely the type of book I sought out as a child: low-stakes, gentle, and with a solid happy ending. At age 10, I would have read this book again and again until its covers fell off! I have heard wonderful things about the two sequels to this book, Francie on the Run and Pegeen, and I have every intention of reading those as well. Van Stockum is a great author for Catholic families, and I'm glad to own this book for my kids to read when they are older.